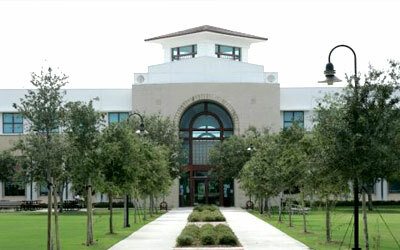 The John D. MacArthur Campus presently enrolls more than 1,500 students and offers a broad range of upper-division and graduate courses. The campus houses the Harriet L. Wilkes Honors College which provides 440 students with a live-in, all-honors educational experience and the Osher Lifelong Learning Institute, the largest lifelong learning program in the nation. Both the FAU Brain Institute and the FAU Center for Molecular Biology and Biotechnology call the MacArthur campus home, providing cutting edge research infrastructure and educational programs that link to other FAU campuses. The Jupiter Life Science Initiative serves to unite scientists and students in campus research and training activities, and helps sustain FAU’s close affiliations with Scripps Florida and the Max Planck Florida Institute, which are also located on the campus.